Saint Emilion, the largest wine appellation in Bordeaux’s right bank with the beautiful town itself resting on top of the hill overlooking the stunning surrounding landscape. Saint Emilion is under an hour’s drive from the city of Bordeaux, so can easily be included as a day trip from there, yet it is such a gem in its own right that it really merits a good few days of exploring. Granted UNESCO status in 1999 this enchanting medieval town is bursting with wondrous monuments both above and below ground; The Kings Keep, The Collegiate Church and its magnificent cloisters, las tetras. The somewhat challenging to walk along yet so pretty las tetras are steep, narrow cobblestoned streets that connect the high and low parts of the town. Underground there is almost just as much to explore with numerous wine cellars and the monolithic church carved out of the limestone, an impressive alternative “cellar” dating back to the 12th century. As a wine region it’s thoroughly engaging, with a somewhat more dynamic classification system than other regions as it is more regularly updated (often causing quite a stir) and apart from the current 81 classified chateaux there are hundreds of “garagistes” or “microchâteaux” some much more sought after than their Grand Cru neighbors. Here Merlot and Cabernet Franc dominate producing rich, fruity reds which usually need a good 6-8 years to reach perfection. Saint Emilion lays claim to having the oldest, wine society in France, the Jurade of Saint Emilion was formed in 1199 and Saint Emilion was the first region in Bordeaux to export their wines. This four-day break is a superb option for food and wine lovers alike; luxurious accommodations, exquisite wines, winning eateries amidst some of the most striking landscapes. Please note the best day to start this tour is Monday. Contact us for more information on this superb trip. On arrival at either Bordeaux airport or train station, your elegant chauffeur-driven Mercedes will be waiting to transfer you to nearby Saint Emilion. First up is a wine tour at Château Fonplegade; this captivating château takes its name from the historic fountain “Fonplegade” meaning fountain of plenty, historically quenching the first of many a pilgrim and more recently an additional water supply to the vines in drier vintages. Sterling wines have been produced on these superior lands for many years, passing through the hands of a number of great Saint Emilion families. However Château Fonplegade’s second “belle époque” began in 2004 under the new ownership of the esteemed Stephan and Denise Adams. The cellar and winery hugely benefiting from a fabulous renovation. After your VIP tour and tasting of both their Château L’Enclos and Fonplegade wines, you will move on to Les Belles Perdrix de Troplong Mondot for a welcome lunch. Set in the heart of Troplong-Mondot Château’s vineyards, Les Belles Perdrix is one of a number of Michelin starred restaurants in Saint Emilion, the cuisine is delightful, creative and delicious, a real gourmand treat including offerings such as “Snails from La Perlotte Farm” prepared as a crunchy terrine with seasonings, artichokes and summer truffle, rocket from the garden and brown poultry sauce with truffles or “Wild Pollack tornado” glazed with citronella lovage butter with Thai curry mussels, marinated zucchinis and grapefruit. After lunch, enjoy a private guided walking tour of the hamlet’s most emblematic streets, squares, hidden corners, and underground monuments. Saint Emilion has an almost endless amount of wondrous monuments to admire and explore, but the underground treasures are truly remarkable. Your knowledgeable guide will lead you through the fascinating history of the monolithic church, carved into the limestone in the 12th century and the nearby Trinity Chapel which homes the prayer or meditation chair of Saint Emilion, named the “fertility seat” as legend has it that any women wishing to bring new life into the world fall pregnant within the year of sitting on it. 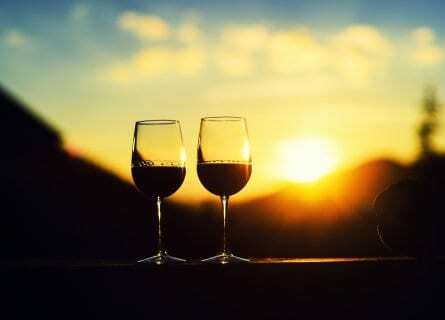 Then enjoy a free evening to settle into your handsome abode, which is none other than the exclusive Hostellerie de Plaisance, set in the heart of the town with the most magical views. After an exquisite breakfast the effervescent and aesthete cook come food blogger come photographer Stéphane Gabart will meet you and take you to the lively Libourne market, alternatively if your trip doesn’t fall on market day Stèphane will show you to the best local traditional food shops assisting you in the selection of goodies for your following cooking demo. Stéphane will then take you to his historic family townhouse in Libourne, where he will guide you through the preparations of your own authentic bordelaise dishes. Afterward, sit down and enjoy the fruits of your labor accompanied by superb local wines of course. 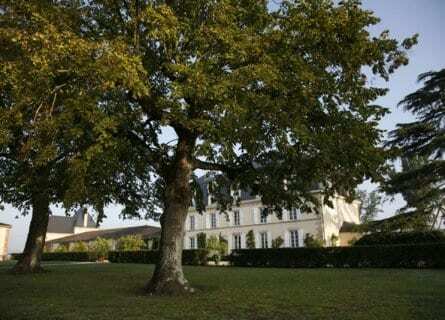 After lunch, visit the stunning Château de La Rivière with Stèphane. An enchanting castle on top of the hill in Fronsac, steeped in history, enjoy a truly magical tour of the estate. 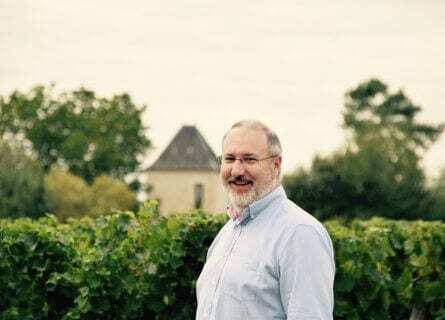 La Rivière changed hands in 2013 and is now owned by the Bolian Group, however, winemaker and GM Xaver Buffo is the soul and continuity, skillfully crafting these world-class wines for over 20 years. Finally before your host bids you farewell he will walk you round the historic highlights of Saint Emilion. It is then back to your hotel to relax and freshen up before a magnificent dinner awaits at Michelin starred Logis de la Cadene; tantalizing masterpieces by Chef Alexandre Baumard who elaborates on classic French cuisine adding innovation and modern elegance, with the most vibrant array of colors, tastes, and textures. This morning you will visit the tiny, neighboring garage wine region of Pomerol. There is no real village center here, and despite the fact that vines have grown here since Roman times, it is only relatively recently that this collection of small châteaux have become prominent on the wine map. At the highest point of the Pomerol plateau sits the darling Château Petit-Village, recently renovated, this tiptop venue is a real joy to discover. Enjoy a private tour and tasting of their superlative wines before moving on for lunch at Maison Claude Darroze, this exceptional restaurant provides Michelin starred dining in a country setting. Sublime, classic French cuisine beautifully presented in a gorgeous location. Lobster & Hibiscus marinated in White Peach Aceto Balsamico Dressing, Perfect Egg, Foam of Fingerling Potatoes & Toast with Summer Truffles or Seared Red Tuna from “Saint Jean de Luz” with Piquillo peppers & Sweet Onions Piperade is a taster of what is in store here. After lunch, move on to Sauternes for a tour and tasting at Château Guiraud. Sauternes is unique within the region and probably within the world. Producing this incomparable golden nectar is a back-breaking job, quite literally at harvest which often entails passing through the vines up to as many as 7 times selecting only the grapes most aptly affected by the Botrytis fungus or “noble rot”. Château Guiraud produces only around 100.000 bottles of their first growth Grand Cru Classé which they proudly hold since 1855. A free evening to enjoy lovely Saint Emilion, particularly charming at night. This morning you will visit romantic Clos Fourtet, one of few Premier Grand Cru Classé to continuously keep its classification and status since 1956. The immaculate vineyards and gardens are secluded behind ancient walls. There is almost as much to explore below ground as above, with almost 13 hectares of underground cave network in comparison to the 20 hectares of vineyards, truly remarkable. Then you will sit down to a private tasting of their outstanding wines. A light lunch follows at the glorious Clos Mirande overlooking the vines on the splendid terrace, weather permitting of course, however inside the restaurant is as equally alluring with the stone walls and homely fireplace. Imaginative twists on local dishes presented perfectly with 5-star service. You can expect the likes of “Delicacies of crab and langoustines, green asparagus, condiment Yuzu ginger” or “Roasted lamb filet, Buckwheat with dates, peas and pie lamb confit with marjoram” or dishes equally as inviting from their ever-evolving, seasonal menu, perfectly paired with an attractive selection of local wine. Last stop is at the renowned Château Figeac, oozing in history, its origins dating back to the 2nd century and the Figeacus family who gave the estate its name. It is, however, the Manoncourt family by whom Figeac has been owned for over 120 years that have gained its reputation and true character. 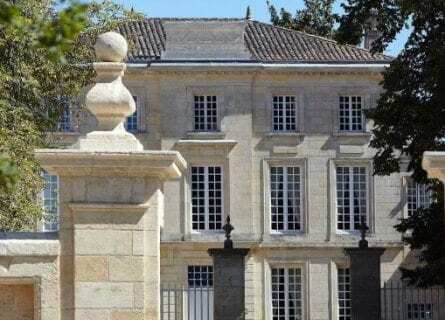 Located to the west of Saint Emilion, almost touching neighboring Pomerol, Figeac is the largest property in Bordeaux encompassing 40 hectares of vineyard and a further 14 hectares of breathtaking grounds, meadows, and woodlands. An absolute delight to tour the estate, with a very welcome finale of course; tasting some of Château Figeac’s finest. 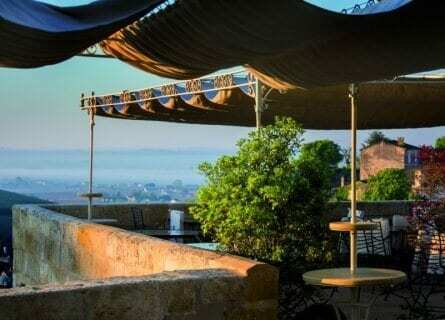 Your chauffeur will then pop you back into Saint Emilion town itself where you can make the most of some free time for shopping and strolling before your blow out dinner at the 2 Michelin starred eatery of Plaisance, “La Table”. You will undoubtedly appreciate the core principal of Chef Ronan Kervarrec; sourcing the highest quality raw ingredients, which are utterly flavorsome in their own right, therefore the cooking techniques serve to enhance, never to distort. A free morning to potter around this adorable village, then Mercedes transfer to Bordeaux airport, town or train station at your preferred time. Bon Voyage!